The California Interscholastic Federation continues to ensure the safety of high school athletes. With the 2018-2019 high school soccer season just getting started, high schools continue to take proper medical precautions to ensure girls’ safety on the field. A 2017 study by the American Academy of Orthopaedic Surgeons says concussion rates are higher among high school girls playing soccer than boys who play football. The AAOS’s findings have heightened awareness about female athlete health in Southern California. “Girls soccer players are less likely to get an injury as it is, but of those injuries, it is in greater proportion to have concussions in girls soccer than in boys football,” said Wellington Hsu, professor of orthopedics at Northwestern University’s Feinberg School of Medicine and lead author of the study. Hsu says that athletes may receive concussions from heading the soccer ball, but data from 2005 to 2015 shows that players usually have brain injuries because of blindside hits from another player. 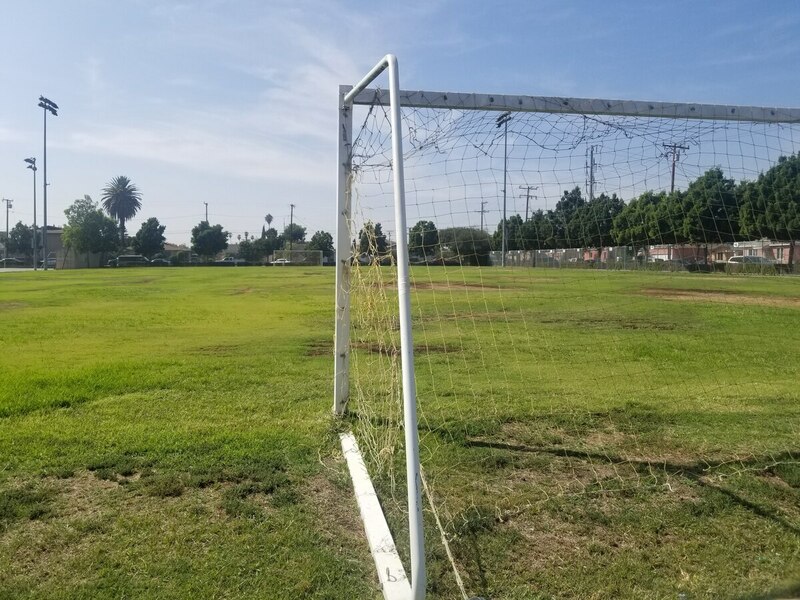 Maywood Academy High School, located just southeast of Los Angeles, has yet to have a major concussion among its female soccer athletes since its opening in 2006. Ernesto Serratos, the school’s athletic director, says that he has seen girls suffer from concussions, but they haven’t had a case where a girl suffering from a major concussion had to retire from playing soccer. Serratos says that the rules enforced by the CIF are helping Maywood Academy’s athletic programs. Not only are coaches taking online-trainings, but parents also have to sign papers that inform them of the injuries. By signing such papers, high schools, parents, and students are becoming more aware of brain injuries. Proper medical treatment is necessary for girls who have suffered from concussions. If these athletes get hurt at an early age and don’t get medical attention, it can limit the pool of prospects able to attend Division-I schools such as USC on an athletic scholarship. The article “Concussion in University Level Sport: Knowledge and Awareness of Athletes and Coaches,” emphasizes that there are important gaps in knowledge of concussions amongst coaches at the university level. Without the proper knowledge, coaches are unable to notice if a girl experiences a concussion on the field. In order to fill in those gaps, the article suggests that educational tools should be taken into account when it comes to contact sports. Esther Lovett, a Concussion Legacy Foundation ambassador, and former soccer player says that she shares her experiences with concussions because people need to know the effects of post-concussion syndrome. Lovett is one of many former soccer players who has experienced concussions not once, but as many as three times in her life. She says that post-concussion syndrome affects athletes by preventing them from playing the sport they love, as she was forced to retire from playing soccer. Athletes experience symptoms beyond the normal two weeks of recovery and are forced to withdraw from the life they know. Findings of the study show that out of 40,843 reported high school athlete injuries, 6,399 are concussions. The data also reveals that “during the 2014-2015 school year, concussions were more common in girls soccer than any other sport.” If the number continues to increase, it could lead to a decline in college soccer players. “Our first priority is the health and safety of student-athletes across all sports, and we will always be keeping our focus on making sure that we put everything in place that we can to protect and make them safe,” Wigod said. Despite efforts to raise awareness of concussions of the high school and university levels, Lovett says that several athletes won’t talk about the subject if they plan to play professionally. Lovett believes that athletes feel like their chances of playing professionally will decrease if recruiters know that they have suffered from a brain injury. For now, the Concussion Legacy Foundation will continue to host events and create content on blogs and other platforms to raise awareness about concussions, while the CIF continues to look for ways to ensure the safety of its athletes as technology advances.